There will be dancing, food, and fun all night long. 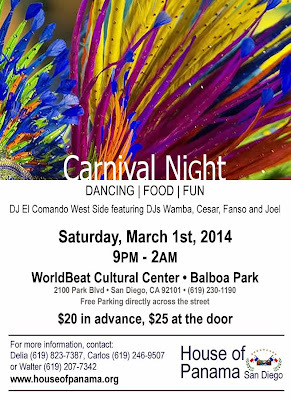 Music provided by DJ El Comando West Side featuring DJs Wamba, Cesar, Fanso and Joel. The House of Panama's Queen Victoria and Princesses Tania and Miraje will perform 2 dances, Danzon Cumbia and Denesa Regional de Tonosi at 2:00pm.